Glengoyne, technically classed as a Highland whisky, toes the Highland line some 20 miles north of Glasgow. In fact, its warehouses sit on the south side of the road, in the Lowlands! There likely aren’t many whiskies that can claim to be distilled in the Highlands and aged in the Lowlands. Glengoyne is a small facility with limited production, which may contribute to its consistently high-quality malt. I must confess I knew nothing about the distillery until I tried this sample, and was immediately impressed by both the quality and refinement in such a relatively unknown 12 year-old scotch. Glengoyne’s marketing is very adamant that the whisky has absolutely no peat character at all, either from the process water or from the barley, which is unusual at zero ppm (even traditionally unpeated Highlanders like Glenlivet have around 2 ppm). 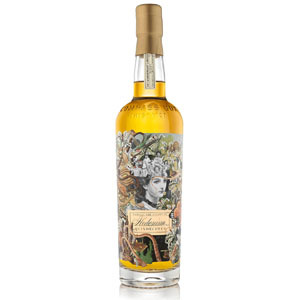 The distillery has a right to market its insistence on showcasing the barley, as it is one of two remaining producers that use Golden Promise barley. The other is The Macallan. Golden Promise is considered to be of higher quality, but much more expensive to grow than high-yield commercial strains. The distillery uses a mix of first-fill sherry, refill sherry, and ex-bourbon casks, although its whisky is immediately recognizable as a sherried Highland-style whisky. 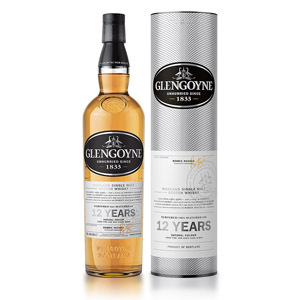 The 12-year, now bottled at 43% ABV, also uses some first-fill Hogshead ex-bourbon barrels – a first for Glengoyne. All Glengoyne has natural color, but this bottling (and all other Glengoyne, except the cask-strength version) is chill-filtered. Nose: Hot. 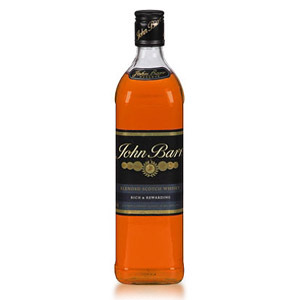 Faint elements of sherry – mildly nutty and fruity. Shy – I can’t determine much from the nose. After a rest in the glass, there’s a bit of caramel. Palate: Soft and silky. Light fruits and nut butters initially, very well integrated. Like a peanut butter and jelly sandwich in distilled form – very unlike anything else I’ve tried, although it reminds me a bit of Glenrothes. Finish: The sherry is more dominant on the finish, with distinct notes of berry jam and fruit juice. Fades with hazelnuts and no bitterness. With Water: Water fails to wake up the nose, and does nothing interesting for the palate. I’d skip the water. Overall: This malt has a lot going for it. 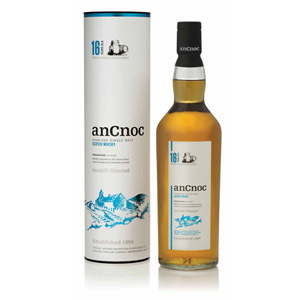 Despite the recalcitrant nose, there is a delectable balance of nutty and fruity notes on the palate that is unrivaled by sherried malts in this price range. The balance here is impeccable, and the finish is flawless – no overly-wooded character flaws. While I still prefer GlenDronach for all-in sherry, this malt contends with Balvenie DoubleWood 12 for the “mid-priced partially sherried malt” slot in my cabinet. Note: This new bottling (added alongside the existing 12 year-old cask strength bottling) may be difficult to find in the US. The 17 is apparently even better, and reasonably priced between $50 and $60. Owned by Ian Macleod Distillers, Glengoyne will go out of its way to tell you that it’s not peated, in any form. Despite being located only 20 miles from categorical Lowlander Auchentoshan, Glengoyne distillery actually lies on the north side of the Highland Line, although its warehouses lie on the Lowland side. Slow fermentation (56 hours) and slow distilling with maximum copper contact are responsible for the nutty character of Glengoyne’s malt, as is its careful use of both first-fill sherry casks and ex-bourbon casks. Glengoyne is also proud of its continued use of Golden Promise barley, which is of higher quality but harder to grow than other commercial strains. It shares this trait with The Macallan. Process water comes from the Glengoyne burn which flows from Loch Lomond, in the Highlands. I’ve often heard Glengoyne described as a “thinking person’s dram”…they tend to fly under the radar and not get too much attention. If you haven’t looked at the distillery profile over at Malt Madness, I suggest you check it out. The way that Glengoyne adapted their logo after they no longer had a Royal Warrant is amazing. Sadly, both the 12 and the 17 are in short supply up here, although very reasonably priced (about $63 CAD). I haven’t tried the 12. It’s somewhat hard to find, but the local spirits store sometimes carries the 15 and 18 both of which are excellent. The 18 in particular is probably in the top 5 scotches that I’ve had. Enjoying your reviews! Love this, for taste and for value. I’ve finshed a bottle of the 12 (plentiful in Toronto this year), and have a bottle of the 15 on deck for when I empty some other bottles. I will return to this distillery’s expressions often. While the 10 yr Glengoyne is nothing special – this particular expression is the polar opposite. I could not remember hearing about Glengoyne before I found the distillery while on vacation in Scotland last Oct. I tried a few of the different offerings, but I think my favorite was the Teapot Dram. Having never tried anything from the Glengoyne distillery before, was pleasantly surprised at my new discovery. 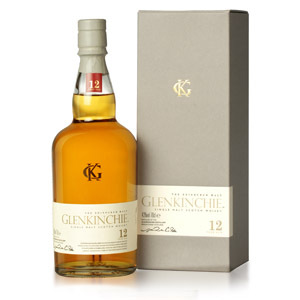 The 12 year was a reasonably priced single malt with much depth. Can’t wait to try more of their products.